Sri City, February 3, 2016:- M/s Colgate-Palmolive (India) Ltd., inaugurated its toothbrush production unit in Sri City on Wednesday. Mr. Fabian T Garcia, Chief Operating Officer, Global Innovation & Growth, Europe/South Pacific, Colgate Palmolive unveiled the plaque and declared the plant inaugurated signalling the start of commercial production in the presence of Mr. Issaam Bachaalani, Vice President, Colgate Palmolive India & South Asia, a host of board members and global executives of Colgate Palmolive. 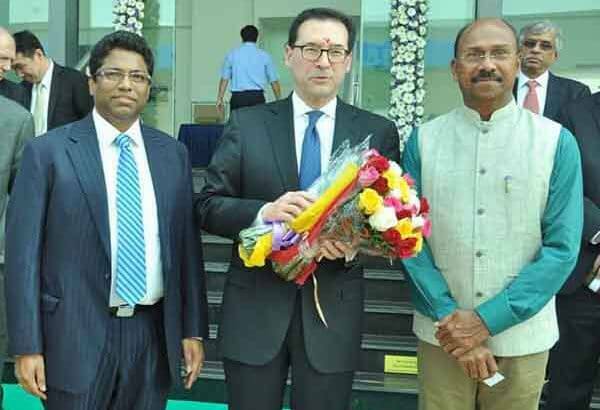 Dr. P. Krishnaiah, IAS (Retired), Chairman, APIIC, Mr. Ravindranath Sannareddy, Managing Director, Sri City, senior executives of various industrial units in Sri City and several other invitees from the industry and business have attended the ceremony.